It's not been fantastic. The rough weather continued for several days - over the bank holiday. I had a reasonable fish on a popper from the surf. My pal Marc had a five-and-a-half pounder, again on a popper, from a nearby spot and Ben had one or two fish on his Maria Chase plug. It was Marc's fish that got me thinking. It wasn't a monster but it WAS bigger than most of the fish so far this year. The significant thing was that he hooked it in a spot that is fished very rarely. The place in question is only fifty or one hundred metres in either direction, from other places (marks!) that are often fished. Like all anglers I tend to have favourite places. These have been tried and tested over many years and given the right conditions can more or less be relied upon to produce fish - in this case bass. The marks I am talking about are often quite short stretches of shoreline and probably represent no more than one or two percent of the total length of beach. 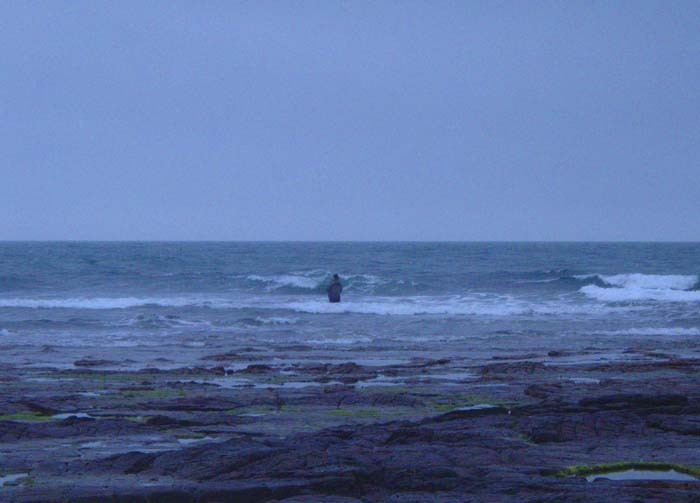 Often I will walk a kilometre or more to reach a fishing place that is only fifty metres long. As I've said the favourite marks are generally productive but it is surely more than coincidence that larger than average bass quite often turn up from places that someone just happened to 'give a try' because things were a bit slow. Assuming that this is a fact could there be a reason for it? We know that some bass are territorial. 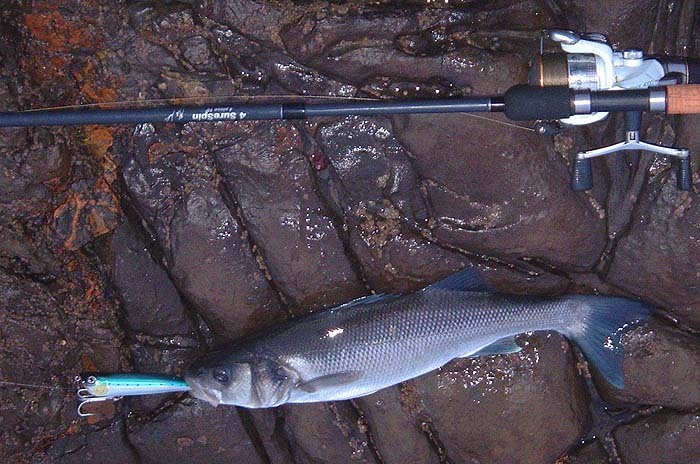 In "Operation Sea Angler" I described how two large bass daily occupied a small rocky reef when the tide was in, driving away any lesser fish that tried to muscle in on their hot spot. Where they went at other times was unknown. If an angler had come along and caught (and kept) those fish it would have taken some time (days? weeks? months?) for similar decent sized bass to take up the empty territories. As a consequence anyone fishing the spot would not have caught a big fish. 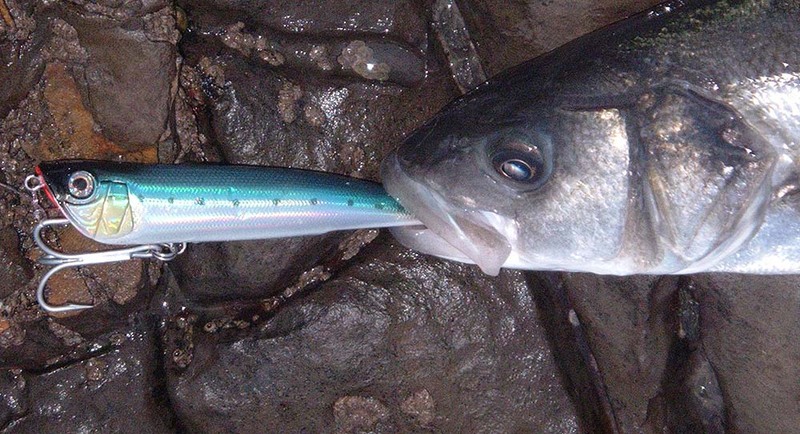 On the other hand if we also assume that there are shoals of smaller bass that do not have territories and simply forage along the shore trying to make the best of what food is available, our angler, fishing the big fish 'mark' might have caught a number of smaller fish. These shoal bass would probably hang about in the 'good spots' if there was no larger fish to chase them away. If these places are fished regularly the chances of catching a large specimen will probably be low. However, there may well be a number of other good territories, unknown to the bass angler, which he walks past on his way to his favoured place. I'm sure that, periodically, it pays to 'explore' new ground with a suitable plug or popper by simply walking along and having a couple of casts every few paces. This approach may be less productive than 'flogging'your known favourites but it could produce the best fish of the year and at least you'll get plenty of fresh air and excercise.